If your first swimming pool installation serving Salt Lake City did not meet your expectations, consider having a different swimming pool company handle your remodel. A swimming pool remodel can leave you with the pool you always wanted; it can even be a different shape. You might also change the decking or coping for a new sense of aesthetic appeal, or you might add a water feature to boost the entertainment value. Continue reading to learn about the different aspects of remodeling your swimming pool. You might decide to remodel your swimming pool for practical or aesthetic reasons, and there are many aspects that you can renovate. Although it may be a little more extensive than other procedures, some homeowners decide to adjust the shape of their pool. A different shape can allow your pool to fit your yard better, or it can change the way you use your pool. A large, round pool can be great for relaxing or playing pool games with your friends and family, while a straight and narrow pool might be ideal for swimming laps. Make sure your new pool shape and design fit your swimming needs. From your decking to the hue of the pool water itself, there are many design elements to consider when remodeling your swimming pool. A decking or coping remodel can keep your pool looking seamless within the context of your yard, improving the aesthetic appeal of the whole space. If your pool is still in excellent condition, you might consider a remodel because you have changed the environment around it. After adding an outdoor fireplace or kitchen, consider sharing elements between these features and your pool area for a holistic atmosphere. When it comes to pool design, water features can help you seal the cosmetic deal. A fountain that shoots water up from the middle of your pool or an outdoor waterfall that gently trickles into a basin can make a massive difference for your property. These types of remodels will be sure to restore your appreciation for your swimming pool. A swimming pool installation will provide you and your loved ones with fantastic opportunities to enjoy the outdoors and have fun in the sun. As you are working with a pool contractor to plan your pool or hot tub installation, you may want to consider adding a water feature or other element that will transform your ordinary pool into an extraordinary oasis. From pool slides to water fountains and more, your pool contractor in Salt Lake City can help you incorporate wonderful features into your swimming pool design. To help you get started on your pool installation, here is a look at some fun features to consider for your swimming pool design. Waterfalls can be a stunning addition to any swimming pool design. When you incorporate a waterfall into your swimming pool plans, you will create a natural focal point for your swimming pool design. Depending on the design of your waterfall, this pool feature can also serve as a recreation area. As you are designing a waterfall for your swimming pool, you may want to include foliage and other features that have a tropical feel. A fountain is another stunning addition to any pool design. With a beautiful fountain installation, you will provide your pool with classic elegance and flair. Today’s pool fountains range from classical to contemporary in design. When you are planning your new swimming pool fountain, you can ask your contractor to help you create a custom fountain that matches perfectly with the style of your home. When you are seeking a show-stopping addition to your swimming pool design, you may want to incorporate a vanishing edge. With a vanishing edge swimming pool, your new pool will have the appearance that it stretches all the way to the horizon. Vanishing edges can also be used to highlight a stunning view from your property. With the help of your swimming pool contractor, you can create beautiful pool that is filled with unique features. What Is your pool’s pH? Swimming pool pH provides you with a snapshot of the quality of your swimming pool water. If your swimming pool water is too acidic or basic, your pool will not be comfortable for swimming. For example, pool water that is too acidic may be cloudy or cause eye and skin irritation. For help caring for your swimming pool installation, it is a great idea to work with a quality swimming pool contractor in Salt Lake City. A pool company offering swimming pool maintenance will be able to help you balance the chemistry in your conventional or salt water pool. For more information about swimming pool pH, be sure to watch this video clip. After your pool installation, it is extremely important to keep up with routine swimming pool maintenance and care. 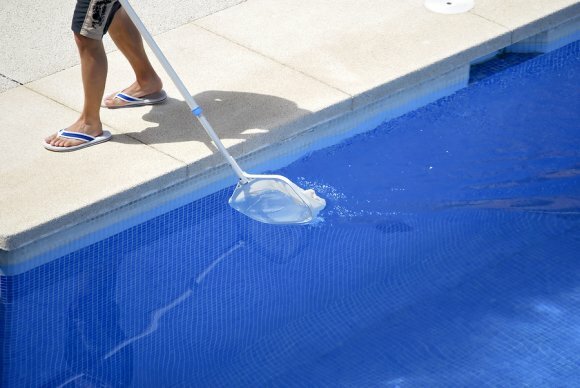 One of the most important steps of pool maintenance is checking your pool water at least twice each week. 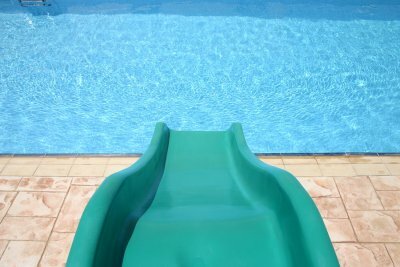 When you test your pool water, you will get an idea of whether your pool chemicals are balanced, and also whether your pool water will be inviting for swimmers. To test your pool water quickly and easily, it is smart to keep a swimming pool test kit on hand. A swimming pool test kit will check every aspect of your water quality, including pH, total alkalinity, calcium hardness, and free chlorine or bromine. In the event that you find that your swimming pool water is continually out of balance, it is a great idea to contact a company offering swimming pool services in Salt Lake City. With professional swimming pool maintenance, you will be able to keep your pool in fantastic condition throughout the years and seasons.